Every day 25,000 vehicles pass this junction. The city wanted to emphasize this importance. Eindhoven is considered a brain port and feels it has a leading role in innovation and technology. All those qualities had to be reflected in the high quality design for this new piece of infrastructure: “spectacular in simplicity”. 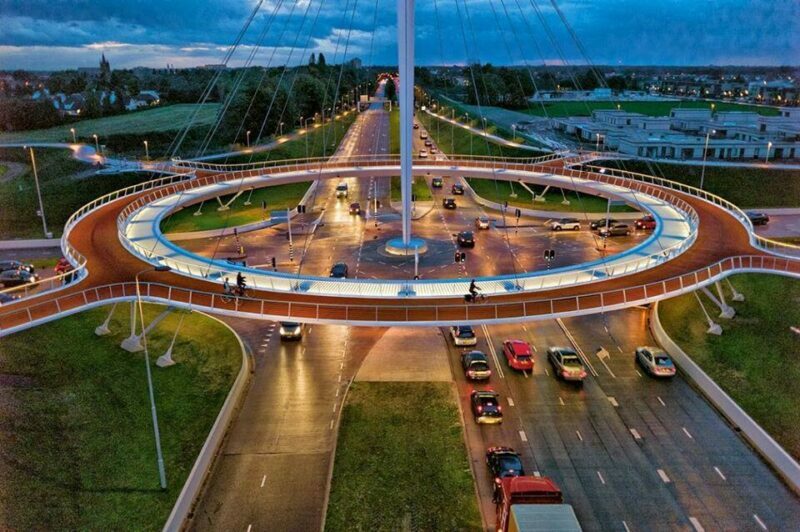 This would look pretty nice over the on and off ramps at Balboa Avenue, don’t you think?